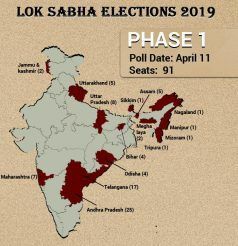 Kadapa, Nellore, Tirupati, Rajampet and Chittoor Seats in Andhra Pradesh will go to Lok Sabha Elections 2019 on April 11. Kadapa Lok Sabha constituency remained a stronghold of the Communist Party of India (CPI) in its formative years. However, it soon became a vote-bank bastion of the Congress. It consists of 1,347,716 number of electorates in total. In 2014, the seat was won by YS Avinash Reddy of the YSRCP against TDP’s Srinivasa Reddy Reddeppagari. For Lok Sabha Elections 2019, the BJP and Congress have fielded Singa Reddy Ramchandra Reddy and Gundlakunta Sreeramulu, respectively. The seat will also witness a contest between YS Avinash Reddy of YSRCP and Adinarayana Reddy of the TDP. Nellore has been a Congress bastion since its formation. As per ECI 2009 dayta, total number of electorates from the seat are 1,450,938. In 2014, Mekapati Rajamohan Reddy of the YSRCP won the seat against TDP’s Adala Prabhakara Reddy. For Lok Sabha Elections 2019, the seat will witness a tough contest between Suresh Reddy Sannapareddy of the Bharatiya Janata Party (BJP), Chevuru Devakumar Reddy of the Congress, Chandra Rajagopal of the CPI(M), Adala Prabhakar Reddy of YSRCP and Beedha Masthan Rao of the TDP. Tirupati is reserved for candidates belonging to the Scheduled Castes. It consists of 1,464,896 electorates in total, as per ECI 2009 data. In 2014, the seat was won by Varaprasad Rao Velagapalli of the YSRCP against BJP’s Karumanchi Jayaram. For Lok Sabha Elections 2019, the BJP has fielded Bommi Sri Hari Rao against Congress’s Chinta Mohan, YSRCP’s Balle Durgaprasad and Panabaka Lakshmi of the TDP. Rajampet has been a Congress stronghold since it came into existence in 1957. It consists of 1,311,449 total number of electorates. In 2014, it was won by PV Mithun Reddy of the YSRCP against D Purandeswari of the BJP. For Lok Sabha Elections 2019, the seat will see tough contest between Pappireddi Maheswara Reddy of the BJP, Mohd Shahjahan Basha of the Congress, PV Midun Reddy of the YSRCP and DA Sathya Prabha of the TDP. 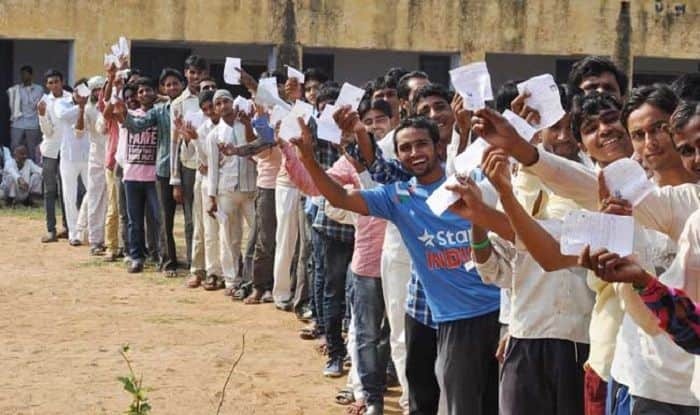 Chittoor is reserved for candidates belonging to the Scheduled Castes and has a total of 1,291,921 electorates out of which 654,277 are females and 637,644 are males. In 2014, it was won by Naramalli Sivaprasad of the TDP against YSRCP’s G Samanyakiran. For Lok Sabha Elections 2019, the BJP has fielded Jayaram Duggani against Dr Cheemala Rangappa of the Congress, Reddppa of the YSRCP and Siva Prasad of the TDP.